The Racine Police Department is committed to our partnership with the residents and business owners in our community. Many business owners and residents currently operate surveillance systems at their businesses and/or homes. As crimes occur nearby, they are not always aware that their system may have captured information that could help solve the crime, thus keeping our community safer. In turn, the police are also not always aware who may have this potentially vital information. By registering your camera with us the Department can quickly identify nearby cameras that may have captured criminal activity. After registering your camera, you would only be contacted by the Racine Police Department if there is a criminal incident in the vicinity of your security camera. Police personnel, if necessary, may request to view your camera footage in order to assist in the investigation. Help us make Racine an undesirable place for criminals to commit crime and help keep your entire community safe! 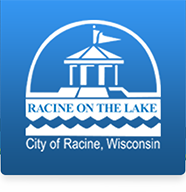 Information provided to the Racine Police Department regarding your camera systems will be for official use only. Your personal information will remain confidential and not be distributed except as required by law or court order.